Welcome to the world Robinson Marley! Born August 23rd at 11:36pm. Weighing in at 6 lb 14 oz and 20.5 inches long! Mommy and baby are doing great! It’s been a whirlwind in Dodger land lately, and for no one more than Rob Segedin, who not only hit his first two homers in the Majors on consecutive days, but also became a father late Monday. Doug Padilla has more on the Segedin saga at ESPN.com. No Dodger has had a hit in an All-Star Game in five years, and so it’s up to Corey Seager to change that tonight — unless you’re looking for Kenley Jansen to grab a bat and come through. 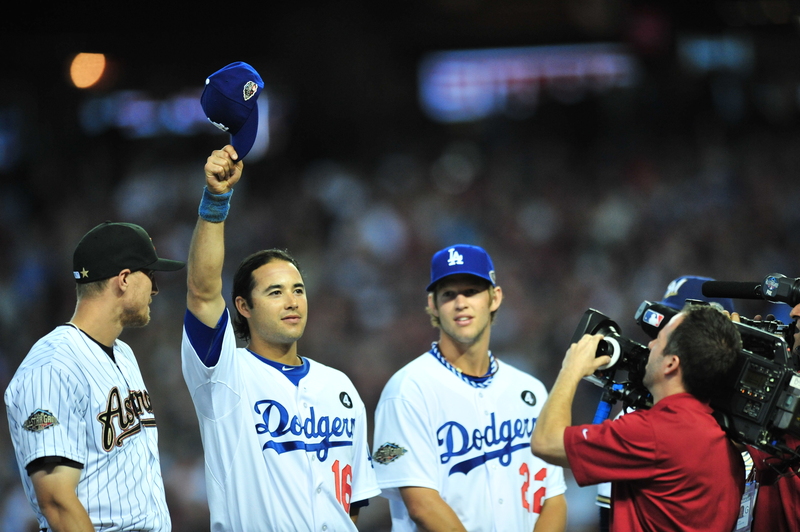 Yasiel Puig, Dee Gordon, Joc Pederson, Yasmani Grandal and Adrian Gonzalez have combined to go 0 for 8 since Ethier’s pinch-hit, RBI single in fifth inning of the July 12, 2011 All-Star Game. Gordon did come around to score as a pinch-runner in the 2014 contest. 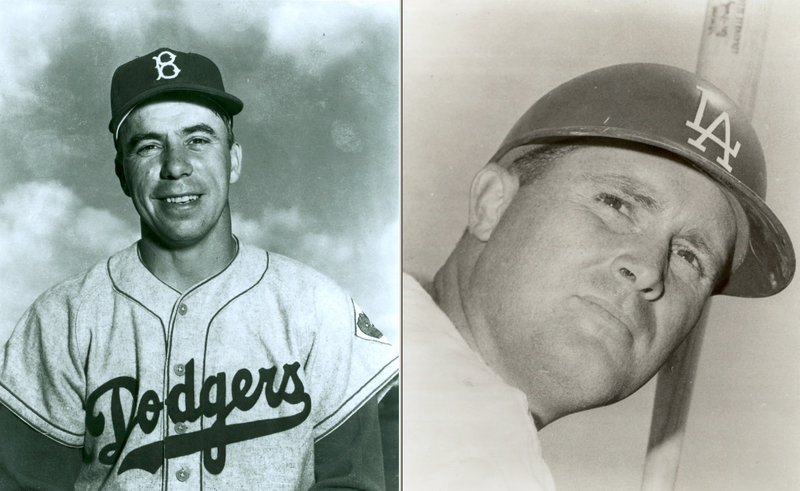 The greatest single All-Star batting performances by a Dodger belong to Duke Snider (two singles, a double and a walk in 1954) and Mike Piazza (double and home run in 1996). 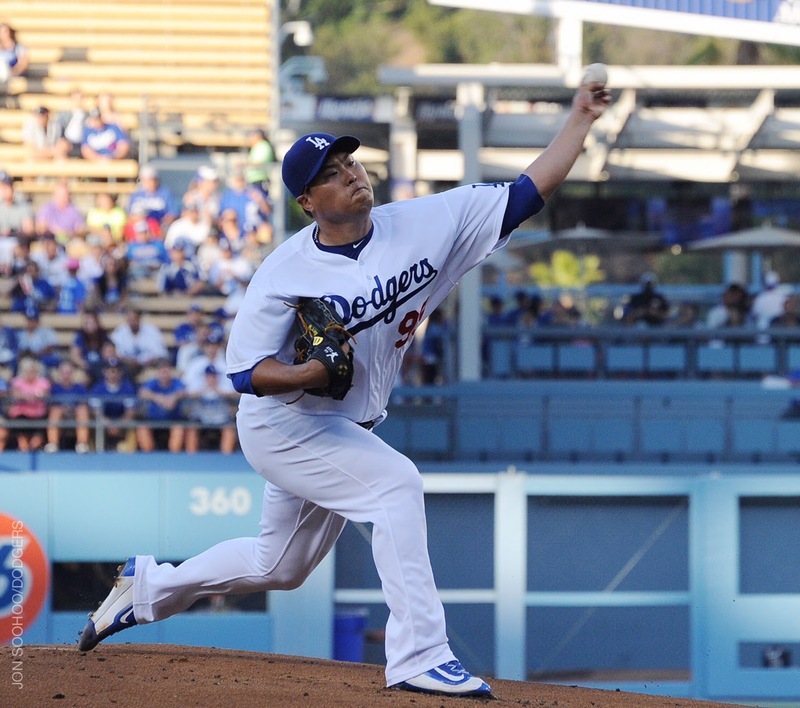 The question with Hyun-Jin Ryu tonight, or at least one of the big ones after he spent more than a year recovering from shoulder surgery, was about the effectiveness of his fastball. The San Diego Padres didn’t have much trouble answering it, knocking eight hits and scoring six runs over 4 2/3 innings, the length of Ryu’s first big-league appearance since the 2014 playoffs, in a 6-0 victory. Tonight, the two-night, four-hour documentary “Jackie Robinson” premieres on PBS. In this piece for Dodger Insider magazine, I interviewed Ken Burns about how the documentary seeks to humanize a figure that time has made more mythological. 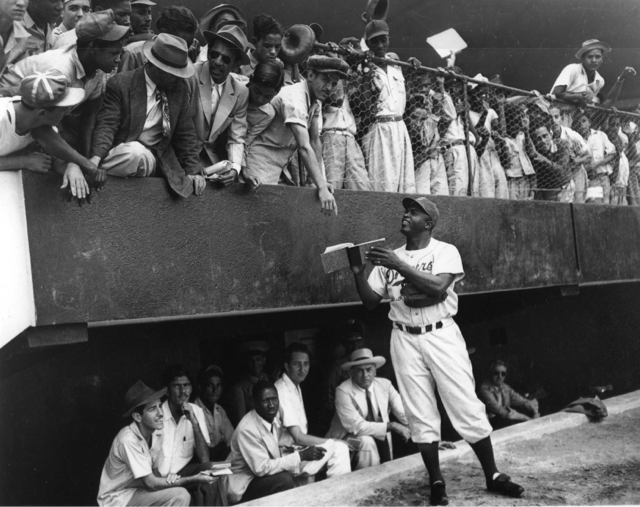 With each passing year, the stature of Jackie Robinson looms larger in the history of baseball and the United States. 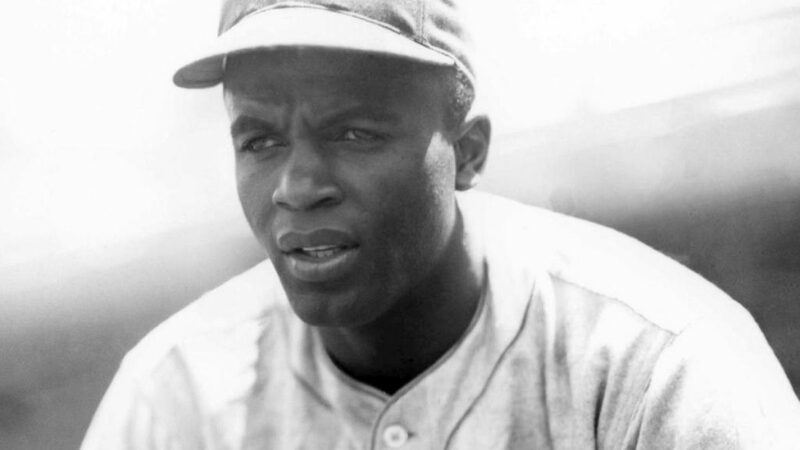 But it has been nearly 70 years since Robinson broke Major League Baseball’s color barrier, nearly 60 years since he retired from baseball and well over 40 years since he passed away. And in that time, the flesh-and-blood Robinson has only grown more and more remote. 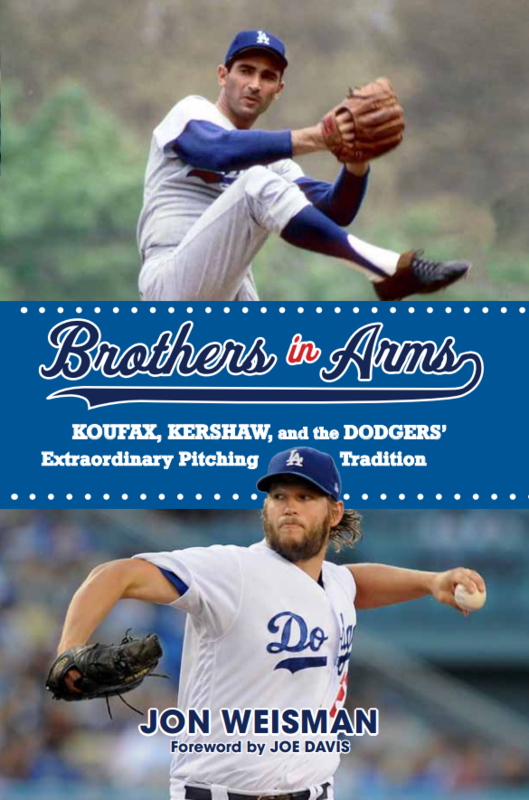 Read the entire article here, or in Dodger Insider magazine, which officially launches its new edition at Dodger Stadium’s Opening Day on Tuesday. Indians at Dodgers, 12:05 p.m.
Chase Utley spoke to reporters today about MLB rescinding his two-game suspension for his hard slide into Ruben Tejada at last year’s National League Division Series. “At the end of the day, I believe that he believes the slide was not an illegal slide,” Utley said, according to Bill Plunkett of the Register. Utley also spoke about Tejada, according to Doug Padilla of ESPN.com. Bill Shaikin and Mike DiGiovanna of the Times reported Sunday that the suspension would be withdrawn by MLB, which last month revised its rulebook about plays at second base. However, such a slide was not explicitly outlawed until Feb. 25, when MLB adopted a new rule to protect middle infielders on slides into second. As a result, Torre said Sunday, the league might have faced difficulty upholding the suspension via an appeal hearing. Howie Kendrick was going to make his first Spring Training start at third base today, but he was a late scratch because of right groin soreness. For the second time in three days, Shawn Zarraga was called upon to serve as emergency designated hitter, with Rob Segedin taking the start at third. Carl Crawford confirmed to Ken Gurnick of MLB.com that he has been told he will begin the season as a reserve left fielder behind Andre Ethier. 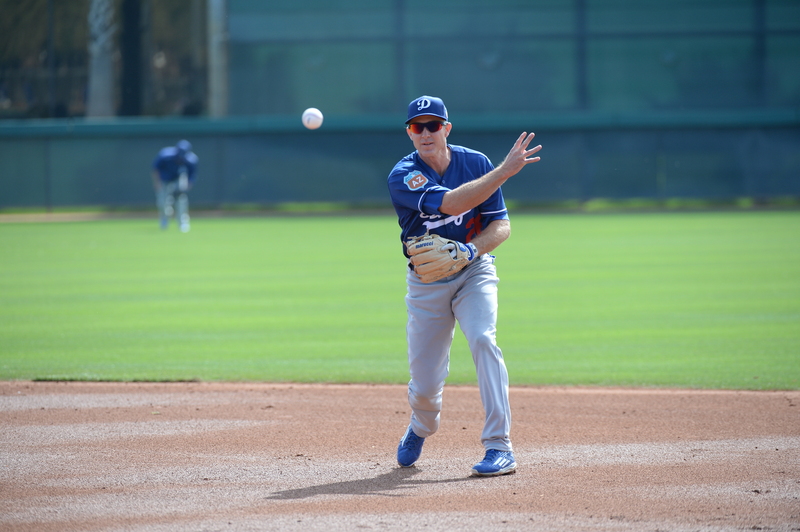 Gurnick rounds up some more health updates, including two innings of live batting practice by Julio Urias and the resumption of Hyun-Jin Ryu’s throwing program after a week off. Also, Ethier has a right-hand contusion but was able to continue most baseball activities today, while Alex Guerrero is also back at it and is a candidate to start at designated hitter on Tuesday. Micah Johnson spoke to Padilla about his bid to carve out playing time for himself at what’s become a crowded second base for the Dodgers. SportsNet LA’s Alanna Rizzo was among those to speak with Richard Deitsch of SI.com in this comprehensive story about safety issues facing female sports reporters. The story of Clayton Kershaw’s Public Enemy No. 1 is introduced from the point of view of the batter, Sean Casey, in this Anthony Castrovince story for Sports on Earth. UCLA unveiled a Jackie Robinson statue on campus Sautrday, writes Chad Thornburg of MLB.com. 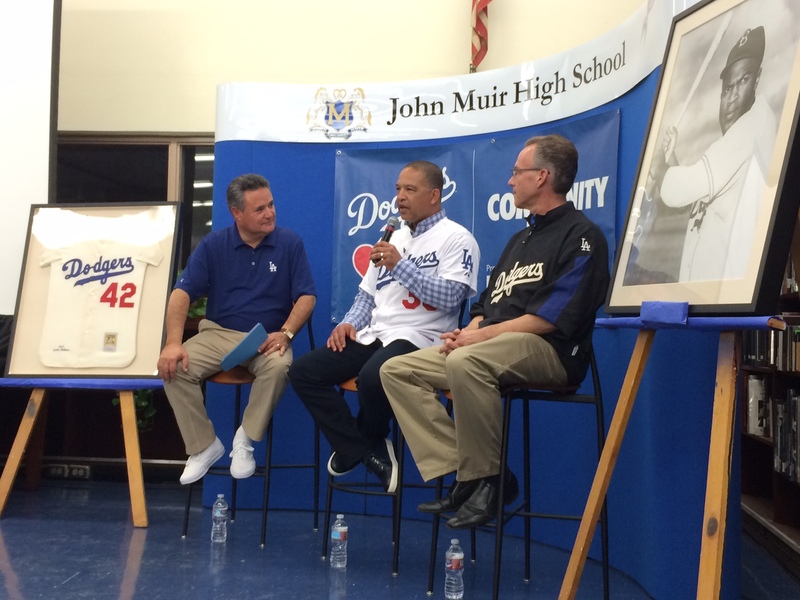 In December, the Dodgers announced plans for their own Robinson statue at Dodger Stadium this year. Tom Knight, a preeminent Brooklyn baseball historian, is remembered in this obituary by Bruce Weber for the New York Times. 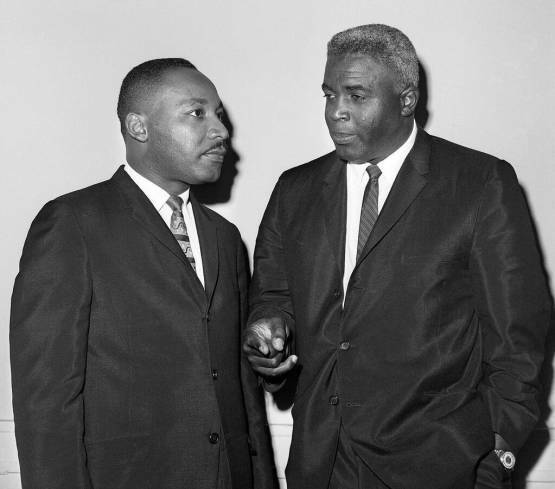 For Martin Luther King Day, here are some tidbits celebrating the civil rights leader’s connection with Jackie Robinson the Dodgers. 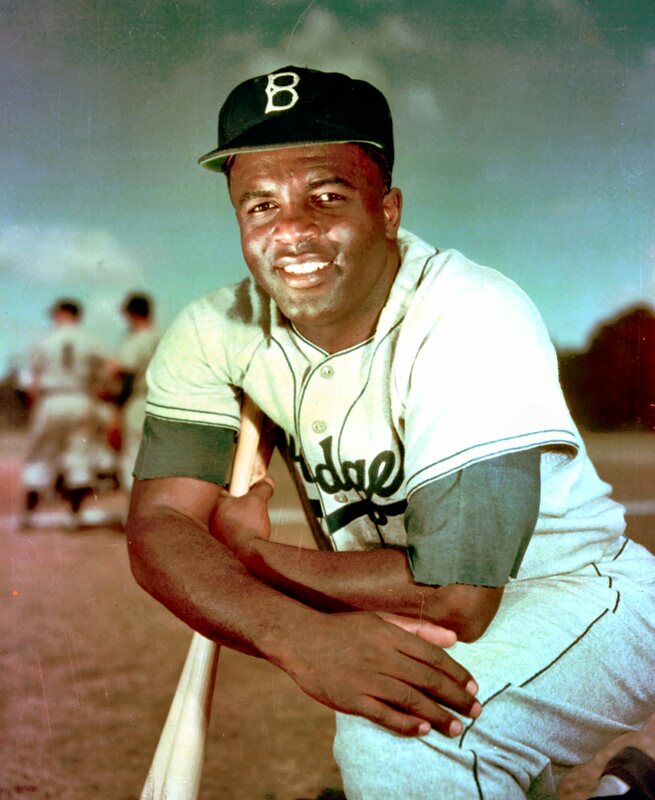 A statue of Jackie Robinson, approximately nine to ten feet tall, will be unveiled at Dodger Stadium in 2016 at a location to be determined. California-based sculptor Branly Cadet will create the Robinson statue, which will be followed in the future by other such pieces, according to Dodger president and CEO Stan Kasten. Jackie Robinson safe at home in 1949. Davey Lopes safe at first in 1977. The heat of Hanley Ramirez’s rib fractured by a pitch — two years ago this very day — still simmers. And above all, Reggie Jackson’s hip. Nothing tops their notoriety in Dodger postseason history, but entering that pantheon is Chase Utley’s slide, a play we will be talking about for years. 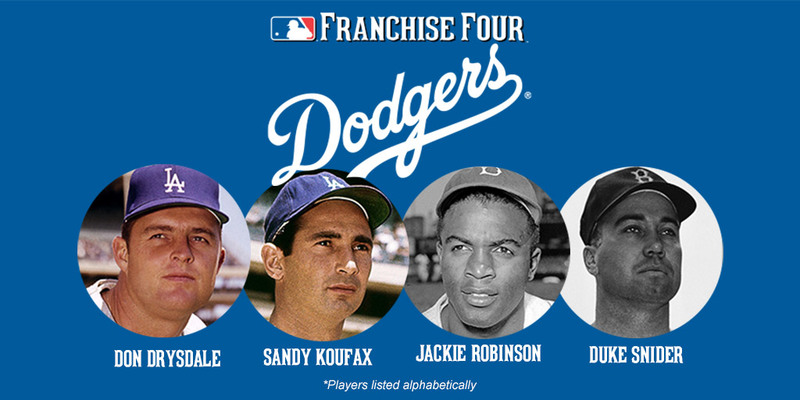 Don Drysdale, Sandy Koufax, Jackie Robinson and Duke Snider were announced during tonight’s All-Star pregame as the winners of MLB’s Franchise Four balloting, which basically picks the equivalent of the franchise’s Mount Rushmore from its history of players. Among those with Dodger ties, Mike Piazza was chosen for the New York Mets, Pedro Martinez for the Boston Red Sox, Frank Robinson for the Baltimore Orioles, Paul Konerko for the Chicago White Sox, Jim Thome for the Cleveland Indians, Rickey Henderson for the Oakland A’s, Adrian Beltre for the Texas Rangers, Luis Gonzalez for the Arizona Diamondbacks, Greg Maddux for the Atlanta Braves, Gary Sheffield for the Miami Marlins and Gary Carter for the Montreal Expos/Washington Nationals. More is written about Matthews at the SABR Baseball Biography Project. 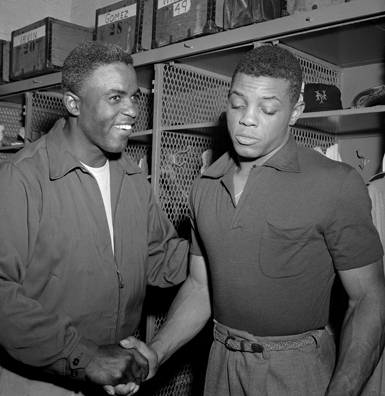 The game against Mays would have taken place shortly after Robinson broke in with the Dodgers in 1947. 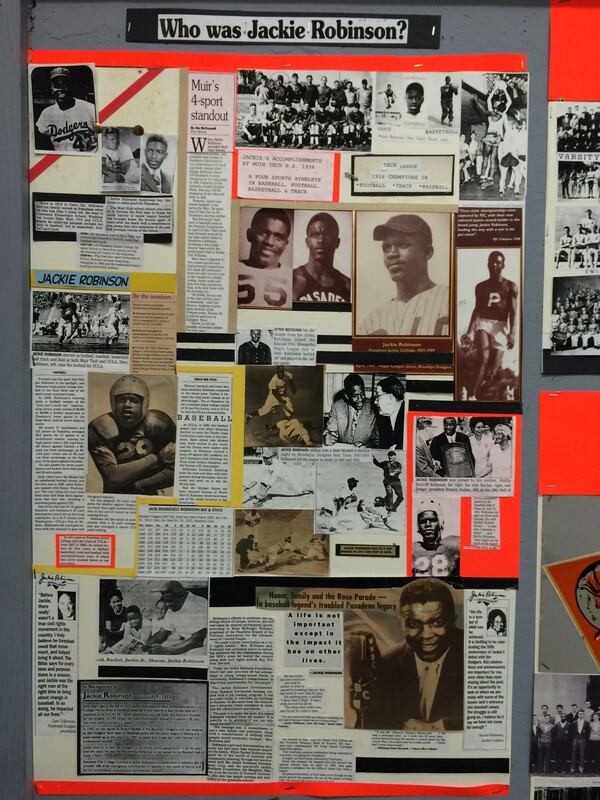 Mays, of course, broke in with the Giants in 1951. Below, here’s a snapshot of Mays with Tommy Lasorda while the pair were playing in Cuba. 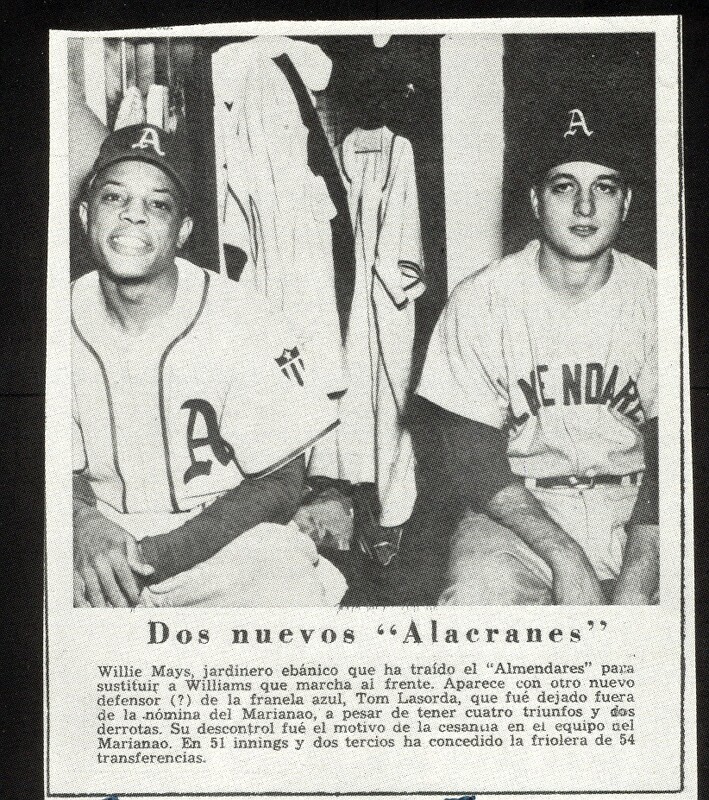 Willie Mays, outfielder who has brought the “Almendares” (old Cuban League team that represented the Almendares district of Habana) to replace Williams marching ahead. 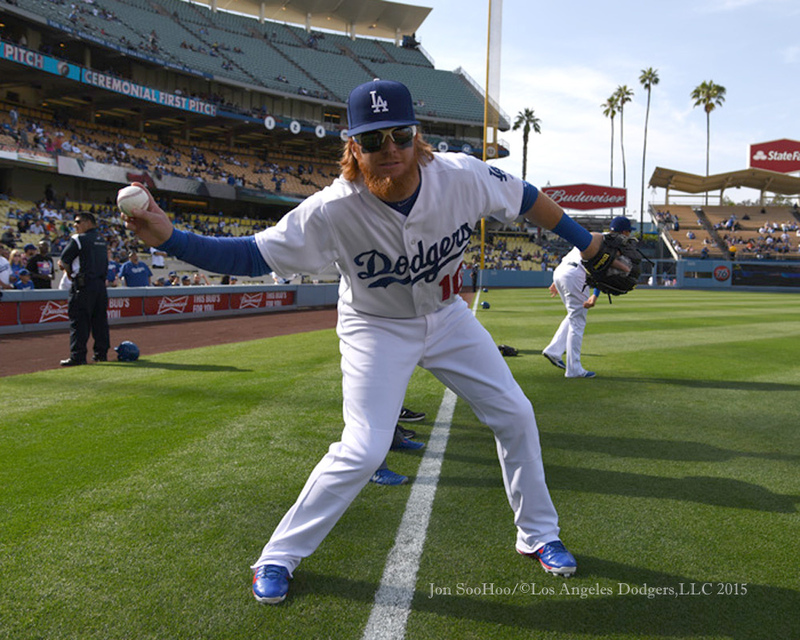 He appears with another defensive player(?) in the blue jersey, Tom Lasorda, who was left of the payroll of Marianao (another Cuban baseball team that represented the Marianao district in Habana) despite that he has four wins and two losses. His lack of control was the reason for his release from the Marianao team. In 51 2/3 innings, he’s given up 54 walks. 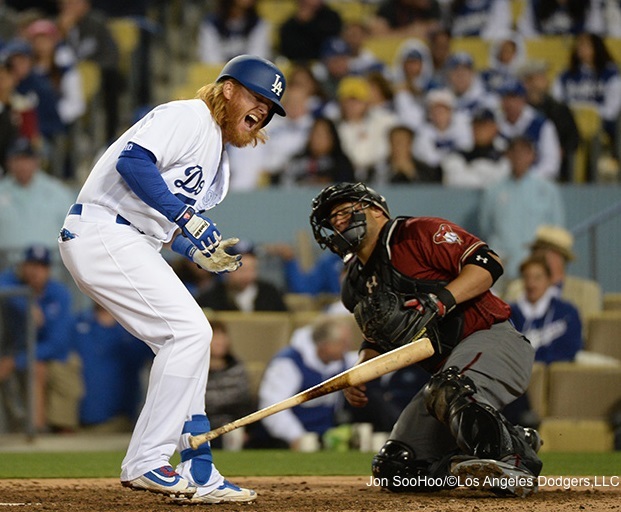 Justin Turner’s knee is still stiff after taking a foul ball Monday, and Joc Pederson is “a bit worn down and beat up,” so they are resting tonight along with Andre Ethier against Arizona lefty Robbie Ray. 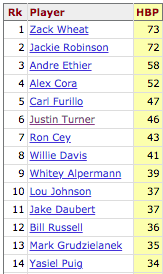 I can barely remember how I lived before Baseball Reference’s searchable Play Index came into my life, but a perfect example of the irrational pleasures it provides me came Monday night, when I got it into my head to figure out where Turner ranked offensively in history among Dodger third basemen.